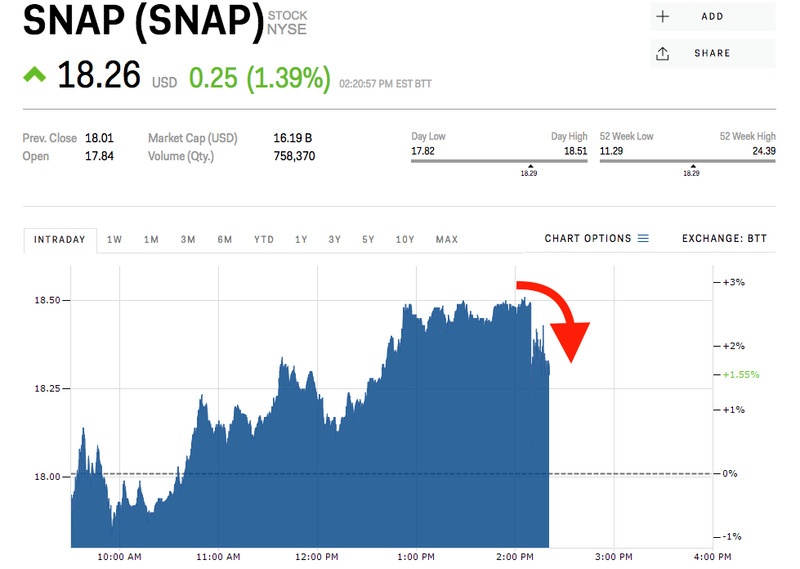 Snap is planning its “largest layoffs to date,” Cheddar reported Wednesday. The stock slipped from session highs, but is still green for the day. The stock is now trading at $US18.26, according to Markets Insider data, and is still up roughly 1.3% for the day. Snap has had round after round of layoffs in recent months as its stock fights to hold above its initial offering price of $US17. Most recently, the company laid off about two dozen employees across eight teams in January. It has been a rough year so far for Snap, which in January rolled out a massive redesign of its Snapchat app in January an effort increase user engagement. The refresh was met with intense opposition from users around the world and led to multiple downgrades on Wall Street. The company also lost its VP of sales and VP of product this month.